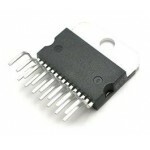 Buy online L298 Motor Driver Module in India at low price from DNA Technology, Nashik. 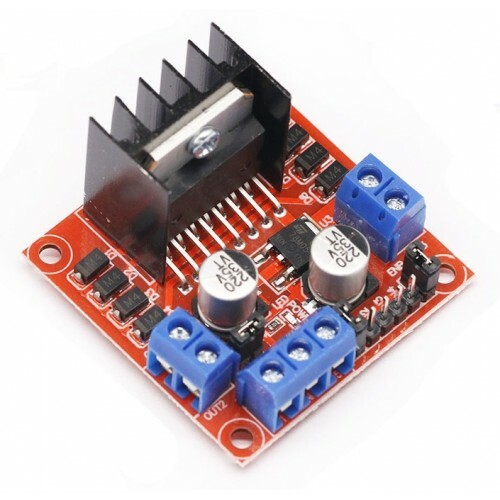 This is a high current motor driver perfect for driving DC Motors and Stepper Motors. 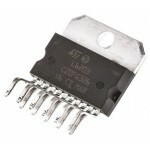 It uses the popular L298 motor driver IC and has on board 5 Volt regulator which it can supply to an external circuit. It can control upto 4 DC motors, or 2 DC motors with directional and speed control. It can drive motors upto 46V with a total DC current of up to 4A. You can connect the two channels in parallel to double the maximum current or in series to double the maximum input voltage. 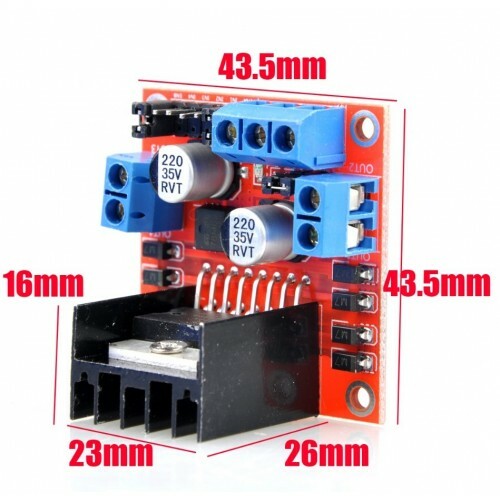 L298 motor driver board is perfect for robotics and mechatronics projects. 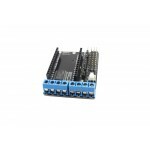 It can be used to control motor using micro-controllers, switches, Arduino, Raspberry Pi etc. 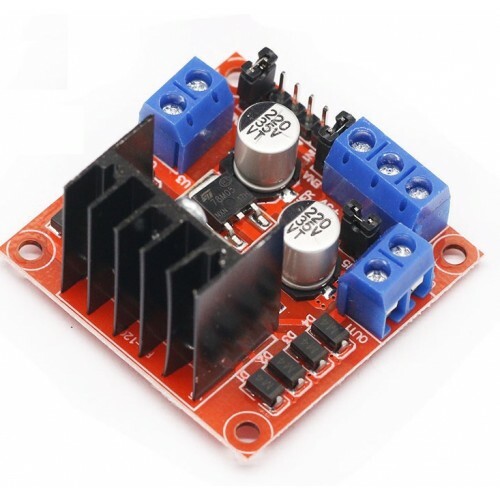 L298 Motor Driver Module uses screw terminals for easy connections, mounting holes for easy mounting, back EMF protection circuit, heat sink is also provided for better heat dissipation and more efficient performance. Another useful feature is its option for adding two high power resistors for monitoring the current being consumed by the motor. Arduino Motor Driver ShieldThis is a Motor Driver Shields for Arduino Boards that can control upto f..
L298 Dual Full Bridge DriverThe L298 is an integrated monolithic circuit in a 15- lead Multiwatt and..
L6203 Brushed DC Motor Driver ICL6203 is a power driver by STMicroelectronics designed to drive a mo..
Mini L298 Motor Driver Mini L298 Motor Diver Module for two DC motor or one 4 wire 2 phase step..